Developer Naughty Dog’s postapocalyptic stealth action game The Last of Us is already a serious contender for game of the year awards. 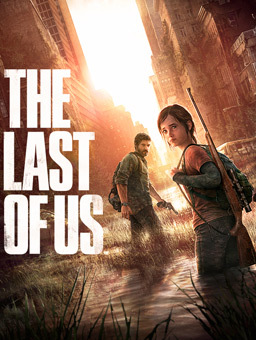 The adventures of Joel and Ellie as they attempt to navigate a dangerous new world while dodging human enemies and infected zombielike creatures is filled with adventure, suspense, pathos and an abundance of moments that feel like they’d make for an amazing movie. In fact, one of the few complaints leveled against the game (and Naughty Dog in general, who also make the Uncharted series that has caught Hollywood’s eye in recent years) is that the title often feels like it’s more interested in being a film than a game. Well, now it can be both. While there’s been no word of major studios expressing interest in a big-screen version of The Last of Us, the fan filmmakers at Iron Horse Cinema have taken up the gauntlet and shown everyone how it’s done. The small creative team has crafted an elaborate and entertaining cinematic take on Naughty Dog’s new hit – and you can check it out below. Maybe the most striking thing about this short is how it nails the setting and tone of the game. I’m not sure where they found these locations, but the environments feel identical to those in the PlayStation 3 release. The atmosphere is similar too – where implied menace lurks around every corner and humans are just as dangerous as the infected. Kudos on the casting too – actors Jeff Moffitt and Kate Sutherlin McLeod certainly look like their in-game inspirations. It’s too early to tell if we’ll ever see a big-budget, full-length feature based on The Last of Us, but even if we don’t, we’ll always have this really cool short film demonstrating what might have been. Find out more about the production by visiting the movie’s Facebook page.